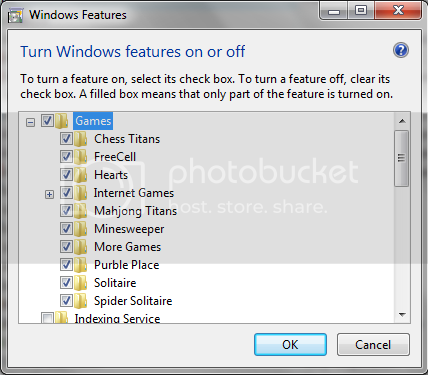 How to enable default games in Windows 7 Professional? Click on Programs and Features and then Click on Turn Windows Features On/ Off on the left hand side. Now, a box will popup. In this box tick the option ‘Games’. You can also enable only specific games by expanding the box and ticking selected games.